There’s a battle on for the hearts and minds of Edinburghers, waged now for almost 250 years and centred upon one defining question: Old Town or New Town? On World Heritage Day (April 18th) this battle was mercifully fought with instruments rather than slings and arrows as a Battle of the Bands proceeded through iconic Edinburgh locations. Medieval minstrels clad in colourful garments squared off against the understated elegance of Georgian-era musicians, the two groups embodying the duality that has made Edinburgh itself, rather than any individual building within it, a UNESCO World Heritage Site. 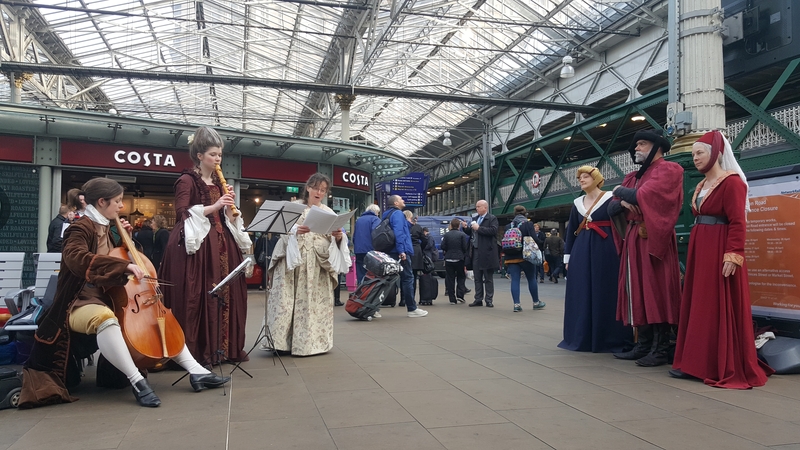 The sheer volume produced by the medievalists won over commuters at Waverley Station, rising above the modern sound of trains departing from their platforms. 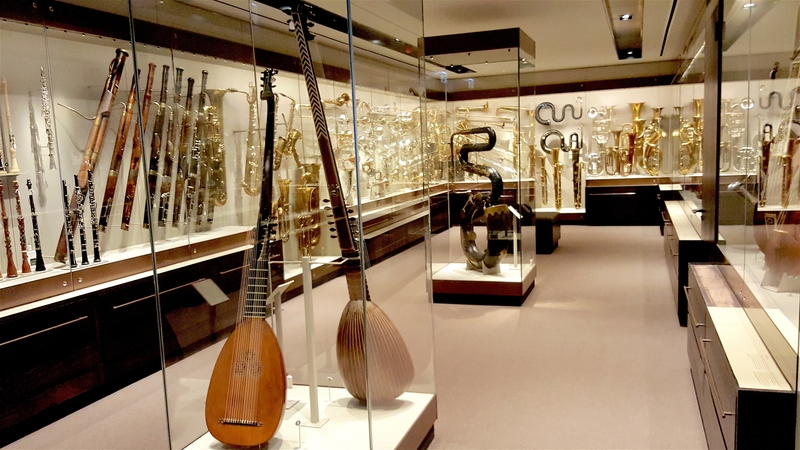 That early victory was checked, however, by the Georgians in the Grand Gallery of the National Museum of Scotland, where their refined tunes echoed throughout the vast space to the delight of the crowd. At the grand finale in St Cecilia’s Hall, Scotland’s first dedicated concert hall which was recently restored to the awe of all who attended, the fates determined that the great debate of Old v New Towns would go on for centuries yet. By raising a card with either a tankard (for the minstrels) or a fine cup (for the Georgians), the crowd diplomatically declared the event a draw. The great debate rages on, then. The battle itself was a part of the Scotland in Six celebrations, an initiative by Dig It! 2017 which on World Heritage Day saw innovative events take place at Scotland’s six World Heritage Sites. While I tagged along with the minstrels in Edinburgh a 5k Picts v Romans race was held at the Antonine Wall, the Heart of Neolithic Orkney came alive with nighttime storytelling illuminated by neon lights, New Lanark knitted up a storm, the Forth Bridge hosted a steampunk spectacular, and people in Stornoway explored St Kilda through the video game Minecraft. 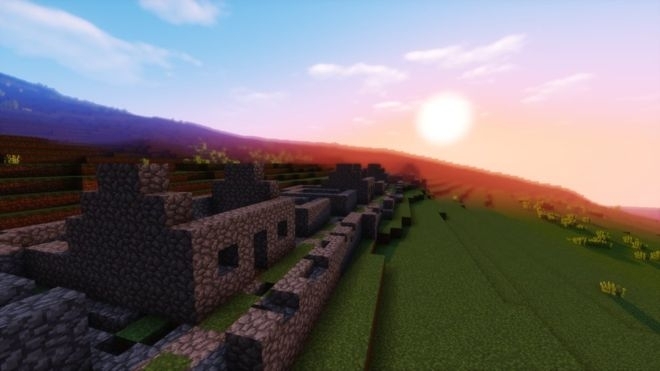 This all took place within the context of Scotland’s Year of History, Heritage and Archaeology (https://www.visitscotland.com/about/themed-years/history-heritage-archaeology/), a year-long celebration of Scotland’s fantastically diverse and inspiring story. 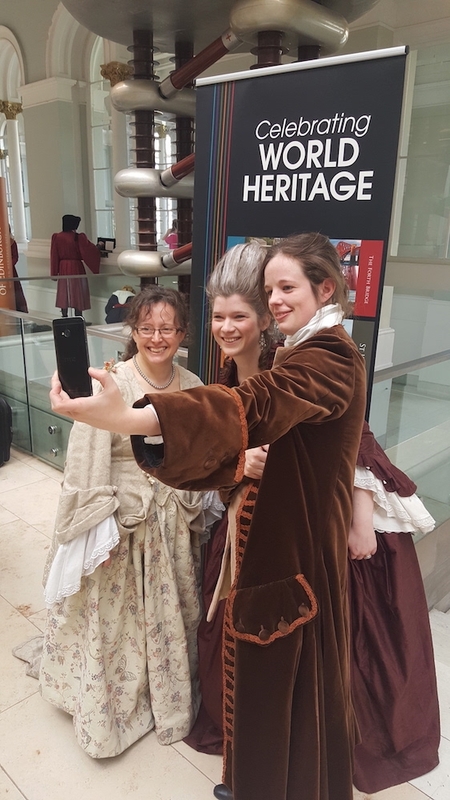 While the World Heritage Day events have now wrapped up, there is no shortage of opportunities to engage with the sites themselves. I’ll be taking up Dig It! 2017’s Bucket List challenge, a new push to get people out to all six of Scotland’s World Heritage Sites (yes, that includes St Kilda!). 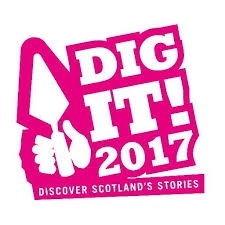 You can start your Bucket List at http://www.digit2017.com/discover/scotlands-word-heritage-site-bucket-list/. After the (metaphorical) confetti has settled on these famous sites, we'll use this stage to unearth our equally extraordinary best-kept heritage secrets. Sites from across Scotland will vie for your votes, with 6 winners hosting blockbuster events in September as the spectacular centrepieces to Scottish Archaeology Month. Keep an eye out on social media for all the latest on this, in particular their Facebook page at https://www.facebook.com/DigIt2017/? If you have any questions about how to get involved, get in touch with Dig It! 2017 or drop me a line. You can find me on Twitter as @TheCastleHunter, and of course I’ll be keeping up with this thread too. 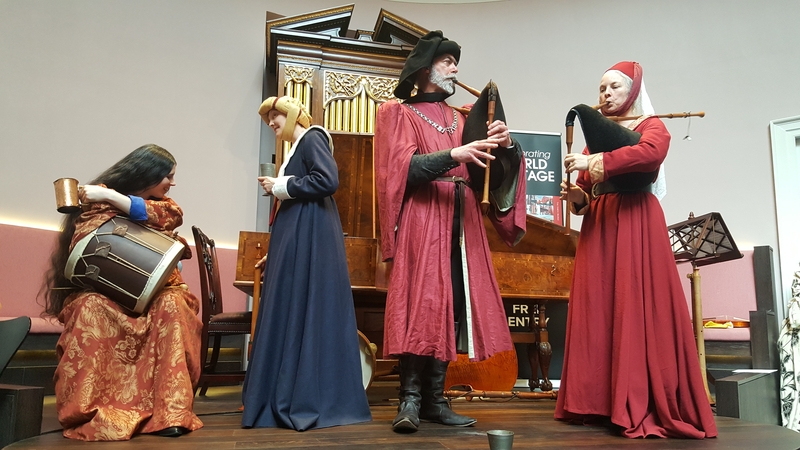 It was an absolute blast (of the horn) to cover Edinburgh’s World Heritage Day, and I hope this has helped to spark your own adventure to discover the extraordinary heritage Scotland has to offer. In the mean time, an unintended consequence of the Battle of the Bands was that the Georgians have discovered selfies, so I'm off to make sure they don't change history too much as a result! Thanks for your very detailed post and lovely pictures. 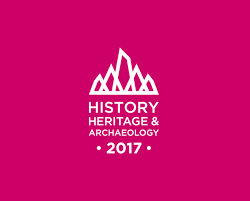 For more events in the Year of History, Heritage and Archeology, please check out EventScotland's website. Get digging! !